If most of us make daily efforts to take care of our skin, our teeth and our overall physical condition, not enough make similar efforts for their scalp. We go to the dentist for a scaling, we exfoliate our skin, we apply an after-shave cream, but we forget too easily that the scalp is actually the continuity of our facial skin and that this hidden region is yet the determinant of our hair health and appearance. Healthy scalp creates beautiful strong hair. Did you know that simple tips can help you keep your hair healthier and thicker longer, thus significantly reducing the appearance of hair problems and preventing hair thinning or hair loss? It’s better to opt for a morning shower. Washing our hair before going to bed increases the chances of sleeping with wet or moist hair. The contact between the pillow and your wet hair provides the perfect scalp environment for bacteria and fungi development. These scalp conditions can eventually cause itching, dandruff, psoriasis or eczema. If you can’t avoid an evening wash, be sure to adequately dry your hair, mainly at the root. Did you know some shampoos are specifically designed for scalp care? 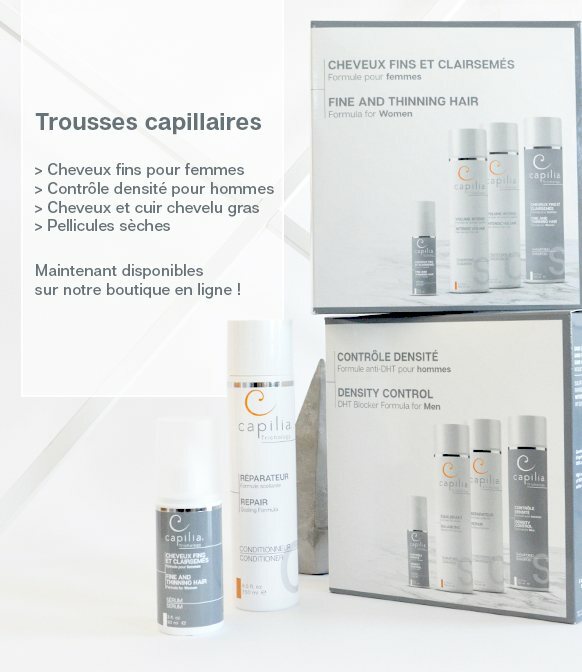 The Capilia Trichology line of products offers solutions that adequately cleanse this hidden area that is too often neglected, while treating symptoms of common ailments and promoting hair growth. 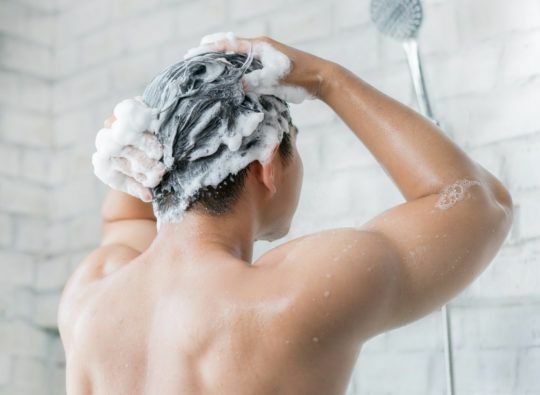 We recommend making a first shampoo with a scalp care product and let it rest for 3 to 5 minutes to let the active ingredients penetrate the follicles and then rinse. Then proceed to a second shampoo that specifically targets the hair, enhancing shine and vitality. If necessary, end your hair care routine with a conditioner that is silicone and paraben free, to avoid any residue deposits on the scalp. Use warm water to wash your hair to open the scales and facilitate ingredient penetration and rinse at warm temperature as well, but finish the routine with a good stream of fresh water to close the scales and increase the shine. Each formula offers benefits and some disadvantages as well. 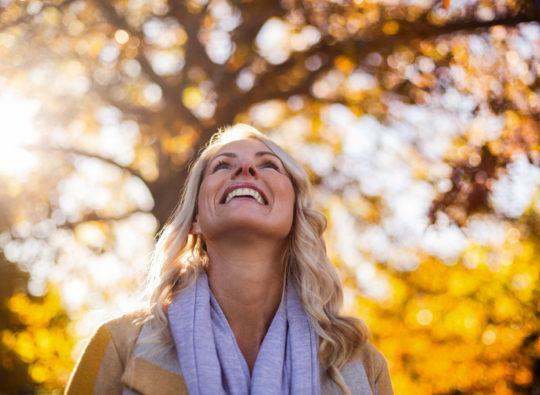 The human body has a biology of its own, it can react differently to certain products so listen to your body and be alter to your hair and scalp’s reaction to specific products. Of course, understanding your hair type is essential to select a product that will be optimal. Trying to capture the real value of our hair care products is key. It is not because we purchase them at high prices in luxury salon that they offer quality care that promotes long terme hair health. Some companies promise instant results, but in reality they offer a purely aesthetic solution by covering the hair shaft with harmful products such as silicone giving an impression of increased shine. This compound is also deposited on the scalp, clogging new growing follicles and contributing to a long-term thinning process. Taking a few precious minutes at each wash to gently massage our head promotes good hair and scalp health. We always appreciate the massage provided by our hairdresser but hardly ever take time to pamper ourselves. In addition to its relaxing effect, a good massage helps active ingredients penetrate the follicles and also activates blood circulation, increasing the absorption of the nutrients circulating in the blood. Our advice: Use your fingertips and not your nails to avoid irritating your scalp. Most of us have taken the habit of applying body lotion after our shower to moisturize our skin because we know how hydration is important to our skin. For your hair, you can use a no-rinse emulsion to moisturize and facilitate detangling. 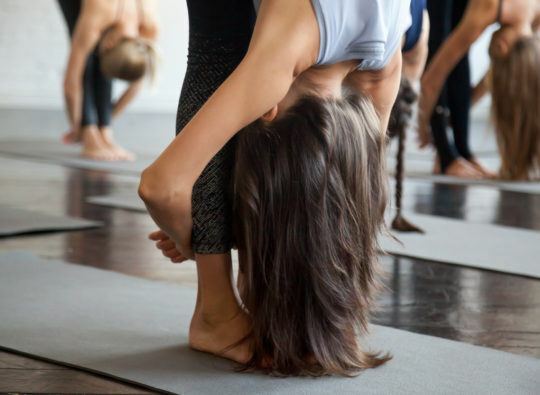 A small amount is enough to provide deep hydration to your hair without weighing it down. It is also recommend to apply a serum to the scalp to nourish the hair at the root before drying your hair. Serums offer a higher concentration than shampoos in active ingredients and are an important part of your routine if you are looking to reduce symptoms of a hair problem or keep your hair thick and shiny as long as possible. A dozen drops deposited on the scalp before a short massage is enough to get the most out of our serum.